President Donald Trump disinvited the Philadelphia Eagles from attending the traditional White House visit for Super Bowl winners. 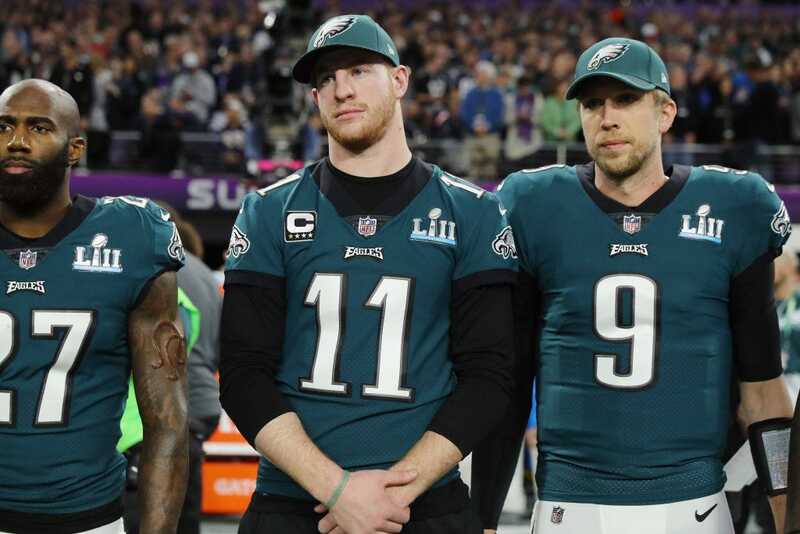 New reports indicate that fewer than ten Eagles players would have attended the event, suggesting why Trump called the ceremony off, and it might have been as few as two or three. This is not the first time Trump has gotten into a dispute with a reigning sports champion over the White House visit. On Monday, President Donald Trump disinvited the Super Bowl-winning Philadelphia Eagles from the traditional White House visit for NFL champions and two new reports on the size of the Eagles delegation might explain why. 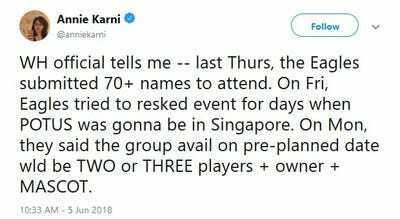 According to Philly.com, a team source told them, “fewer than 10 players planned to attend” the event. Safety Malcolm Jenkins and Defensive End Chris Long were among the players the report cites as having planned on skipping the ceremony. Team owner Jeffrey Lurie had planned to attend. ESPN’s Don Van Natta Jr. reported that the number of Eagles players at the White House would have been even smaller. “Five or fewer Eagles players had intended to attend the White House Super Bowl ceremony, a league source tells me,” Van Natta wrote. Yet a third report, from Politico’s Annie Karni, the number of Eagles players making the trip might have been two or three and that the team attempted to rechedule the trip for when Trump would not be at the White House. This is also not the first time that Trump has gotten into a dispute with athletes over attending the White House. In September, Trump withdrew his invite to the Golden State Warriors to attend the White House after the team’s star Stephen Curry had indicated to reporters that he was hesitant to make the visit.